Dubbed "a wonderfully engaging P.I." 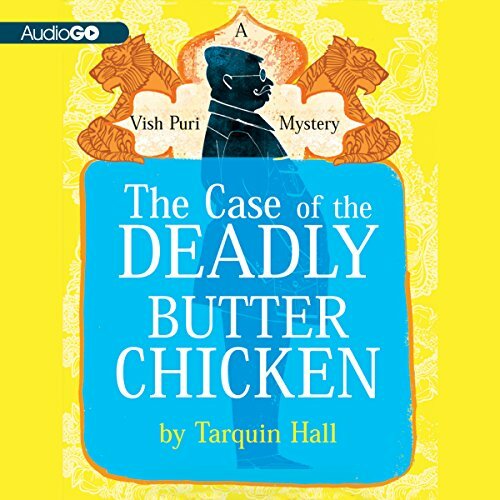 (The Times, London), Tarquin Hall's irresistible protagonist Vish Puri has become an international favorite through a series that "splendidly evokes the color and bustle of Delhi and the tang of contemporary India" (The Seattle Times). Now the gormandizing, spectacularly mustachioed sleuth finds himself facing down his greatest fears in an explosive case involving the Indian and Pakistani mafias. When the elderly father of a top Pakistani cricketer playing in the multi-million-dollar Indian Premier League dies during a post-match dinner, it's not a simple case of Delhi Belly. His butter chicken has been poisoned. To solve the case, Puri must penetrate the region's organized crime, following a trail that leads deep into Pakistan - the country in which many members of the P.I. 's family were massacred during the 1947 partition of India. The last piece of the puzzle, however, turns up closer to home when Puri learns of the one person who can identify the killer. Unfortunately it is the one woman in the world with whom he has sworn never to work: his Mummy-ji.